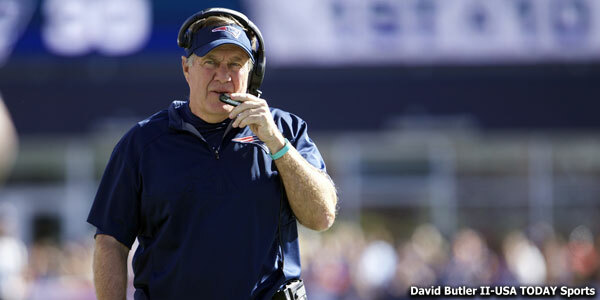 The Patriots on Saturday have been wheeling and dealing. They made their third trade of the day, sending the 7th round draft pick they received from Seattle in the Justin Coleman deal back to Seattle for DE Cassius Marsh. Marsh is a 6’4, 270-pound defensive end who is entering his fourth season in the NFL. He was drafted in the 4th Round of the 2014 NFL Draft from UCLA. He had his best season a year ago with 22 tackles and three sacks. He’s also a core Special Team’s player, appearing in nearly 80 percent of the Seahawks’ STs snaps in 2016. Pete Carroll was using him as both an interior and edge pass rusher. Marsh got kudos from teammate Michael Bennett earlier this summer as one of the most improved members of the defense. In essence, now the trade works out as Coleman for Marsh…another win-win for both teams. This will help boost the depth of the Patriots edge players and it seems like Marsh’s role will take over that of Geneo Grissom. This entry was posted in Patriots Commentary, Patriots News and tagged 2017 Patriots Season, 53 Man Roster Projection, Bill Belichick, Cassius Marsh, New England Patriots, NFL, Patriots edge rushers, Seattle Seahawks 7th round draft pick, trade on September 2, 2017 by Steve Balestrieri. The Patriots made a flurry of roster moves on Wednesday just after the final bye week practice, releasing one player from the active roster LB Dekoda Watson, and three more from the practice squad WR Kenbrell Thompkins, DL Joe Vellano and OL Chris Barker. But the big news of the day was the trade the team made with the New Orleans Saints, trading TE Michael Hoomanawanui and receiving DL Akiem Hicks in return. Hoomanawanui had fallen down the depth chart with the arrival of free agent Scott Chandler and the trade that brought TE/T Michael Williams from the Lions. Now the fourth tight end, Hoomanawanui was a healthy inactive for the Jacksonville game. He has good blocking skills and decent hands in the passing game but never was a big factor there. His best year was in 2013 with Gronkowski out, he caught 13 passes. He did bring value in his versatility however, he could line up as a traditional tight end, H-back or as a fullback. New Orleans, with a need of in-line blocking tight end depth made the deal with the Patriots for the 6’4, 260 pound six-year veteran. Hooman was always a valuable work-pail type of player that teams love to have on the bottom of the roster. But this trade was really about Hicks, the talented but inconsistent defensive lineman. Taken by the Saints in the third round of the 2012 NFL Draft, Hicks’ best season was in 2013 when he tallied 4.5 sacks and 76 tackles. He has some positional versatility and will probably be used as an inside three-technique defensive tackle by the Patriots. That is where his best work was done with the Saints, although he played some five-technique there as well. It was the move to defensive end this season where he struggled. Hicks dropped 20 pounds this past offseason in an attempt to add a bit more of quickness to his game and other than a minor ankle injury, had a solid training camp for the Saints. But the coaching staff there had lost faith in him and his playing time dwindled. It was a quick fall from grace for the 25-year old, where just a year ago he was considered one of the more important players on the defensive line. But after playing in nearly 70 percent of the snaps in the opener, the coaches were replacing him with rookies Tyeler Davison and Bobby Richardson more and more as his snap counts plummeted to 44 and 43 percent. Perhaps a change of scenery and a chance to start fresh will ignite the 6’5, 324 pound Hicks. Rather than the traditional two-gap run stuffer that the Patriots have favored in the past, Hicks, when at the top of his game is more of a penetrator, a guy who can use his quickness off the line to disrupt plays in the backfield and push the pocket. 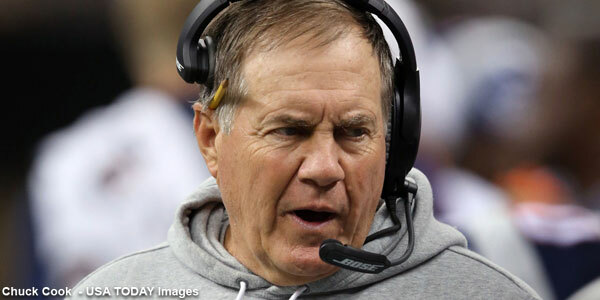 He has plenty of upside, now the coaches have to bring it out of him, Bill Belichick has always had a great touch in using a player to fullest potential by playing to his strengths. And that would be as an inside penetrator who is very solid in the running game. He’ll join Dominique Easley, Malcom Brown, Sealver Siliga and Alan Branch at the rotation inside on the defensive line. This move will further strengthen the front seven and provide another good run stuffing presence along with a player that can be a factor in the pass rush as well. This trade was a good one for New England, Hoomanawanui was obviously not going to be a big factor in the Patriots offense moving forward and so the cost of taking a flyer on the former 3rd round pick Hicks was minimal. Plus…if Hicks does leave after the season, the Patriots would be eligible for a compensatory pick in the 2016 NFL Draft. These moves show that, despite being on a bye week, the work never stops and especially in the area of team building, the Patriots under Belichick have always tinkered with the roster. This will not be the last move the team makes before the November 3 trade deadline. I would expect the Patriots to be active in search of more players that they feel can put them in the best position to win this season. The amount of turnover of the roster is amazing; the Patriots Super Bowl winning roster of just a few months ago has changed dramatically. As our salary cap guru Miguel (@Patscap) pointed out on Twitter, just 30 players from the 53 who beat the Seahawks are currently on the roster. This entry was posted in Patriots Commentary, Patriots News and tagged 2015 NFL Season, 2015 Patriots Training Camp, Akiem Hicks, Alan Branch, Bill Belichick, Dominique Easley, Gillette Stadium, Malcom Brown, Michael Hoomanawanui, New England Patriots, New Orleans Saints, NFL, Patriots, Sealver Siliga, trade on October 1, 2015 by Steve Balestrieri. On Wednesday it was announced that the New England Patriots acquired defensive lineman Akiem Hicks from the New Orleans Saints in exchange for tight end Michael Hoomanawanui. Hicks is a 6’5″ 324 pound 25-year old in his fourth year in the NFL; he was drafted by the Saints in the third round (89th overall out of Regina (as in Saskatchewan, Canada) in the 2012 draft. Hicks was actually the Saints’ first selection in that draft; the second round pick was stolen by Roger Goodell for Bountygate and the first round pick was previously traded to the Patriots when New Orleans took running back Mark Ingram; the Pats ended up with running back Shane Vereen and were also able to trade up for Chandler Jones with that exchange. NFL CAREER – Possessing the size and strength to be able to handle double teams along the defensive line, the club’s third round draft choice in 2012 remained consistent in 2014. Hicks, who possesses the ability to play on both the outside and on the interior, played in 15 games with 14 starts at left defensive end opposite Cameron Jordan and finished second among Saints defensive linemen in tackles with 58 stops (36 solo) while adding two sacks and two passes defensed. The New Orleans Times-Picayune reported on September 21 that Hicks said he was benched versus the Buccaneers, a game that New Orleans lost at home after being favored by ten points. New Orleans Saints starting defensive end Akiem Hicks played only 28 snaps in a 26-19 loss to the Buccaneers on Sunday. Hicks was fairly blunt with the reasoning. Hicks said he couldn’t say the reasoning behind the benching until he met with Saints coach Sean Payton that afternoon. Payton said rotating defensive linemen is fairly typical, and the Saints have had a rotation throughout the preseason and into the regular season. Undrafted rookie free agent Bobby Richardson played 40 snaps on defense Sunday. WWLTV notes that the trade came just after the Saints pushed some of Drew Brees‘ cap figure into the future to free up space this year, and apparently caught reporters by surprise. The trade occurred several hours after it was announced that the team had restructured quarterback Drew Brees’ contract to free up some money for this season. The trade must have occurred suddenly because reporters said Hicks was in the locker room Wednesday as normal. Hicks admitted he was ‘benched’ last week as the team continues to struggle with a lack of a pass rush. Katherine Terrell of the New Orleans Times-Picayune reported that the Saints are looking for help at tight end; while I understand that there is a void with Jimmy Graham now in Seattle, is Hooman and his 40 receptions in five-plus years the answer? 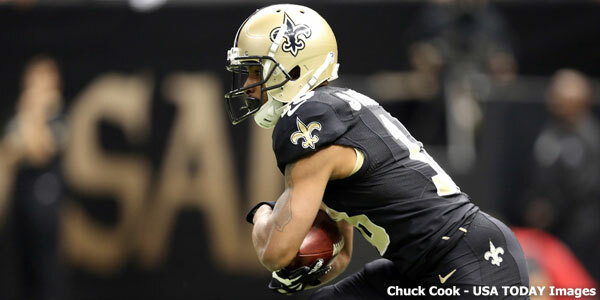 In a 2013 game against the Saints, (Hoomanawanui) had four catches for 57 yards. Payton was asked on Wednesday morning if the Saints were still looking for ways to improve the roster and specifically mentioned the tight end position. Hoomanawanui will be the third tight end on the roster next to Ben Watson and Josh Hill. Hicks, a 2012 third round draft pick out of Regina, was in the final year of his rookie contract and was set to become an unrestricted free agent in the offseason. He was the last remaining member of the 2012 draft class. Jeff Duncan of the New Orleans Times-Picayune is of the opinion that this is part of a larger ‘housecleaning’ (is that a new way of saying ‘rebuilding’?) and that Hicks had ‘fallen out of favor’ (i.e., was in the doghouse). The trade of Hicks is not all that surprising when you consider his diminishing role in the defense as the Saints turned to rookies Tyeler Davison and Bobby Richardson in recent weeks. Hicks’ snap count dwindled from 68 percent in Week 1 to 44 percent in Week 2 to 43 percent last week in Carolina. The talented but inconsistent Hicks clearly had fallen out of favor with the team’s staff and brain trust. Still, his precipitous fall from grace is startling when you consider just 13 months ago he was considered a lynchpin along the Saints’ defensive front. The Saints have been in the market for a third tight end throughout the offseason. They have carried only two on the roster this season and desperately need to improve their in-line blocking at the position. Duncan then turns his sights on the New Orleans’ scouting department – though to be fair, not with the venom we are all too familiar with in the Boston media. The transaction further indicts the Saints’ college scouting department, which was overhauled in the offseason. Hicks was the only remaining player from the team’s five-man 2012 draft class still on the roster. In the five NFL Drafts after winning the Super Bowl in 2009, the Saints selected 28 players. After the Hicks trade, six (21 percent) now remain on the roster. They are: Cam Jordan and Mark Ingram (2011); Kenny Vaccaro, Terron Armstead and John Jenkins (2012); and Brandin Cooks (2014). By comparison, the Green Bay Packers still have 20 of the 45 players (44 percent) they selected in the 2010 to 2014 drafts. In keeping with the rest of the defensive line (other than Cam Jordan), it was a somewhat inconsistent showing from Hicks on Sunday. #76 made a strong start on Sunday, giving RG Jonathan Cooper significant difficulties on several early plays. However, as the game went on Cooper improved and Hicks faded. Despite often having potentially favorable one-on-one matchups in the pass rush, Hicks only got to (Carson) Palmer’s vicinity twice on the day, too often allowing the Arizona QB to “step up” and avoid the edge rush from Jordan/Kikaha. A disappointing day on a reduced count for Akiem Hicks in his hybrid DE/DT role. Hicks was largely anonymous in the running game – his only contribution being the occasional absorption of double teams up front. Otherwise he was largely controlled by NCAA D3 rookie RG Ali Marpet and Indy reject RT Gosder Cherilus. 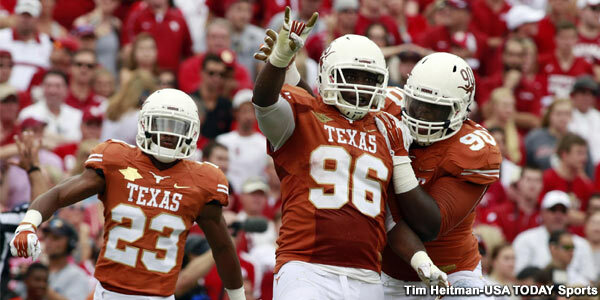 Hicks’ pass-rushing was non-existent, recording no pressures, hits or sacks on the day. Undrafted rookie Bobby Richardson outplayed #76 against the run, culminating in Hicks being benched mid-Q3. For the second consecutive week Akiem Hicks found himself on a reduced snap count and, for the second consecutive week, was relatively anonymous on the field. He spent most of his snaps lined up inside as a DT rather than a DE. Hicks flashed his bull-rushing ability inside when fighting off a C/G double-team block in the 4th quarter, but couldn’t get to Newton. Otherwise Hicks was largely controlled by the Panthers, showing very little of the explosive ability and turn of foot we’d been hearing about in the offseason. #76 had one stop on the day. This entry was posted in Patriots Commentary, Patriots News and tagged Akiem Hicks, Michael Hoomanawanui, New England Patriots, New Orleans Saints, trade, Transactions on September 30, 2015 by John Morgan. According to ESPN’s Adam Schefter , the New England Patriots completed a trade for second-year return specialist/receiver Jalen Saunders from the New Orleans Saints for a conditional draft pick. Saunders, who played college football at Oklahoma for two seasons, tied a school record with 15 catches for 181 yards and set a school record with eight catches in a quarter in one game versus Notre Dame. He was drafted in the fourth round by the New York Jets in 2014, but was released by the Jets in September and connected with the Arizona Cardinals and Seattle Seahawks practice squads before being signed to the New Orleans Saints 53-man roster in November that season. In nine career NFL games with the Jets and Saints, Saunders has three returns for 139 yards, the longest being his 99 yard return against Atlanta; The first of his career. 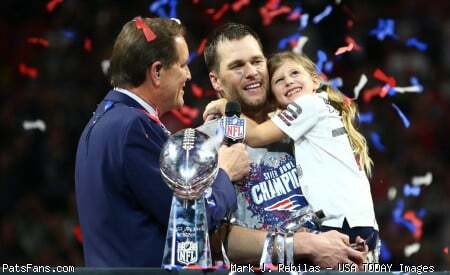 It is unknown what his role may be but one can speculate Saunders was acquired to provide insurance and protection to fellow punt/kick returners Danny Amendola and Julian Edelman. This entry was posted in Patriots Commentary, Patriots News and tagged Jalen Saunders, New England Patriots, New Orleans Saints, trade on September 1, 2015 by Robert Alvarez.